Simone Rocha and Moncler's Collaboration is "Genius"
Fashion: Simone Rocha and Moncler's Collaboration is "Genius"
In 2018, collaborations are fashion currency. You can’t swing a tote bag in New York without hitting an Off-White x Whatever-wearing Hypebeast. That’s not so much a dig as it is an observation about the saturation point we’ve reached with streetwear collabs. While certain brands may be churning out these co-branded products in an effort to keep up with trends, Moncler is looking much farther into the future with its “Genius” series. Today, the brand launches a collaboration with Simone Rocha, a designer who has remained consistent in her designs, while fearlessly experimenting with textiles, shapes, and the like. An image from the campaign. The “4 Moncler Simone Rocha” collection is filled with everything one would expect from the British designer: her signature flower appliqués, oversize sequins, ruffles and tulle. All of these details are transposed onto Moncler’s classic puffer jackets in a way that seamlessly blends both brand’s DNA. The collection also features a range of ready-to-wear, like dresses and sweaters, and accessories, not excluding crossbody bags and chunky slingback mules. While the majority of the collection is black, there’s a great deal of pink and red in there as well—two colors that are prominently featured in Rocha’s own work. 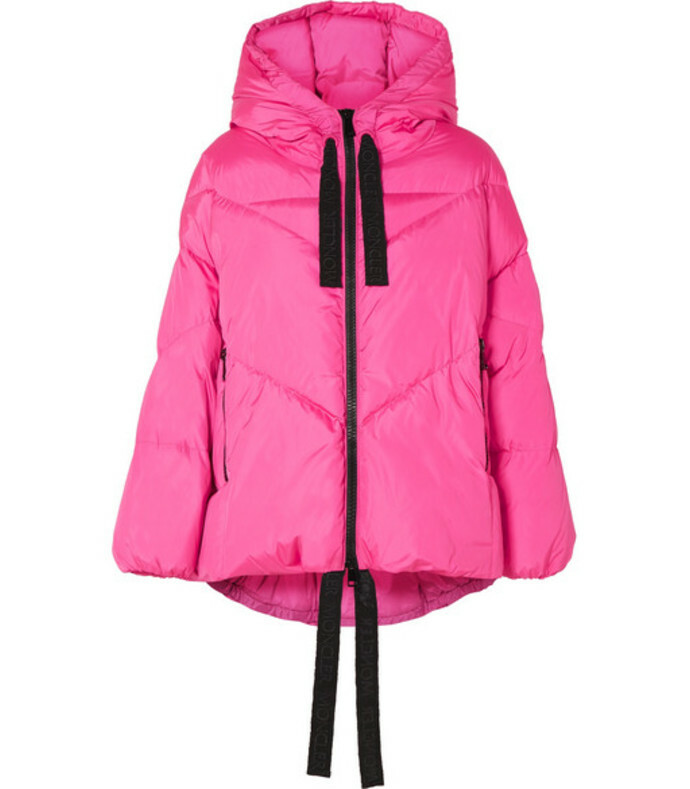 “4 Moncler Simone Rocha” is available now at Moncler, and exclusively at Net-a-Porter until September 25. Shop past Moncler “Genius” collabs below.